The Cedarock Equestrian Center and Trails will be closed Saturday and Sunday April 20-21. They will reopen on Monday, April 22. Click here to visit RecDesk, our online portal for programs, facility and youth athletics registration. Alamance Parks facilities are currently operating on spring hours (Beginning April 1). Cedarock Park is open 8:00am to 8:00pm. Haw River Trail parks and paddle accesses are open 8:00am to 7:00pm. Due to ongoing bridge construction, Altamahaw-Ossipee paddle access will only be open on weekends until further notice. The site will be closed Monday - Friday. For more than 40 years, Alamance Parks has been working to improve the quality of life of Alamance County residents. Through our parks and programs we encourage healthy lifestyles for children and adults, offer inclusive activities for all of our citizens, and provide access to the natural world. 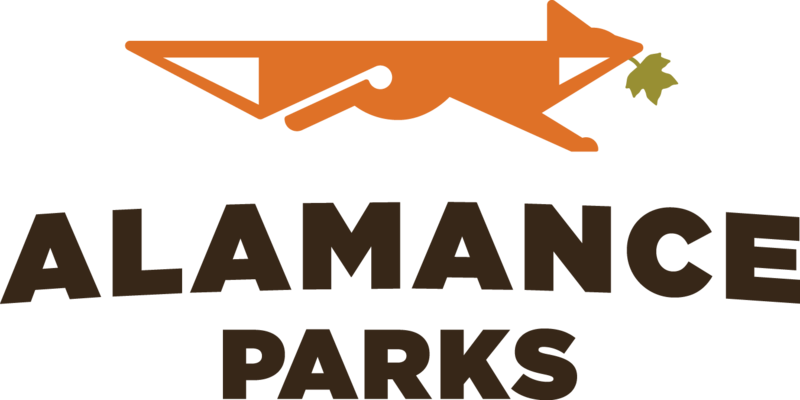 Alamance Parks has three major focus areas: the outdoors, community, and youth athletics. We provide access to the outdoors through a variety of parks and trails, serve our community through two community centers and our Special Populations programs, and offer year-round athletics options for community youth. Our mission is to provide parks, trails and programs that inspire visitors and welcome all participants. The current calendars for Pleasant Grove and Eli Whitney Community Centers are now posted on their respective pages. Stay tuned to the main calendar page to view program offerings. You can visit the Calendar page by clicking here. Want to receive information and updates? Sign up for our newsletter!